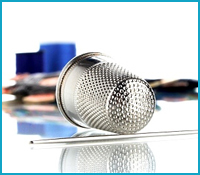 Below you will find a list of essential Sewing Tools, Equipment and Supplies all aiding in helping you Sew like a pro, a brief description is available on how to use them and the types available. For further information some of them are used in the instructional DVD’s. Great piece of equipment but be very careful how you use them. To be honest with you, its best if you watch me on the DVD, one mistake and it could cost you the price of a pair or trousers, jacket or whatever you are working on, so please be extra careful, knowing how to use these and other sewing tools properly is more than worth the price or my DVD. 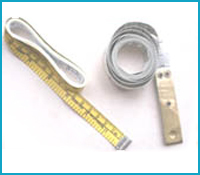 A small metal rule with a sliding marker ideal for measuring seam allowance, hems, tucks, button holes etc. Once again a good haberdashery shop can advise you on which is best for yourself. 3” Brass End – has literally a 3” brass on one end. Best advice I can give on these is jeans needle and for most trousers, skirts, dresses and jackets use a universal/regular needle. 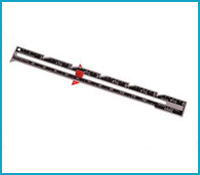 There are many different kinds of Sewing needles, twin needles, quilting, embroidery, overlock, blind hem needles the list goes on. Remember there is no rush to learn about every needle take one step at a time. These are a lot like sewing machines in fact I love these machines, if you have plans to do a lot of sewing save up some cash and get one. They give a professional finish to your seams. Although overlockers require a little extra care because of the cutting and overcasting a lot more lint is created so therefore needs cleaning inside and out more often. If you buy this kind of machine make sure you keep spare blades in the correct position. Lastly make sure you have and read your manual. You don’t need an all singing all dancing machine if you want to alter clothes. 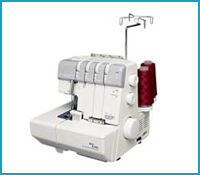 Just a basic machine which can straight stitch and zigzag is ample. Having said that it is hard to buy a basic machine these days so buy the best you can afford. Make sure you get the manual and ask the salesman/woman to demonstrate the machine for you. When you get your machine home, practice threading and unthreading it, use a piece of material and get used to sewing in straight lines and get to know your machine. When practicing with material, don’t pull at it the machine does the work for you at the same time just gently help the material through. Always cover your machine when not use, and always have a yearly tuning and maintenance check. 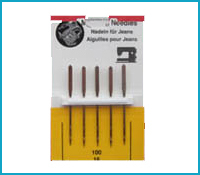 Lastly change your needles regularly and use good quality thread as having a selection of good quality sewing tools and supplies make a huge difference. Don’t think about it “get one” unless of course you like pain: no competent sewing person would consider hand sewing without a thimble and one of the first sewing tools you should consider. Is a lightweight cloth that will protect your fabric, As far as your list of sewing supplies goes this one is cheap as chips and will save you from having a shiny backside or seams. 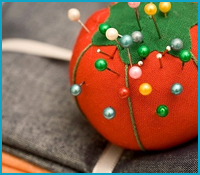 A small cushion for pins or needles. Personally I have two, one for pins and the other for different types of needles. You can buy a magnetised version shaped like a bowl but be careful, keep them away from computerised machines. 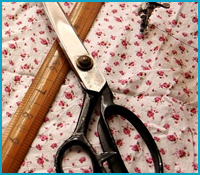 “Pinking scissors” are used for trimming the edges of non-fraying fabric so that overlocking is not necessary, use them carefully as “pinking scissors” are difficult to sharpen. Use thread clippers to cut thread. 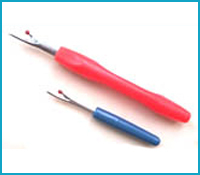 These work with a spring action blade, once you use thread scissors you’ll love them. 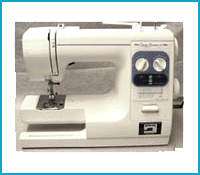 On my Sewing DVD I show you and give advice on how to use scissors as well as other sewing tools used. 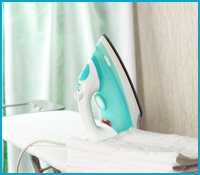 An iron is an important piece of equipment if you like your work to look professional. Don’t leave water in overnight. Always check “care” labels for ironing instructions. 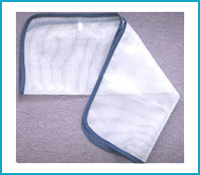 Use a pressing cloth or Teflon soleplate as they both protect fabrics from scorching. Never iron over pin or buttons. Press garments on the wrong side not on the right unless using a pressing cloth. Fusible – This kind of interfacing is ironed onto the fabric again creating body and shape. 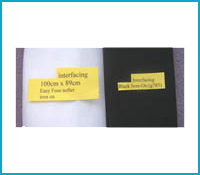 Interfacing is used for shaping cuffs, collars, waistbands, and front of jackets. You can purchase light, medium or heavyweight in either light or dark colours.